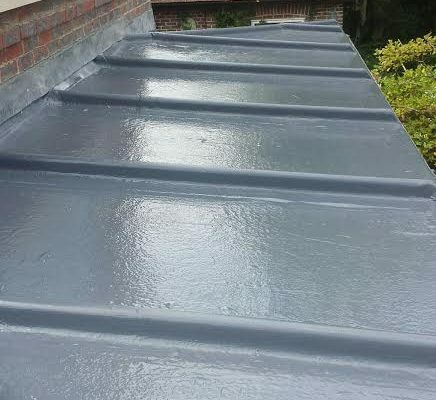 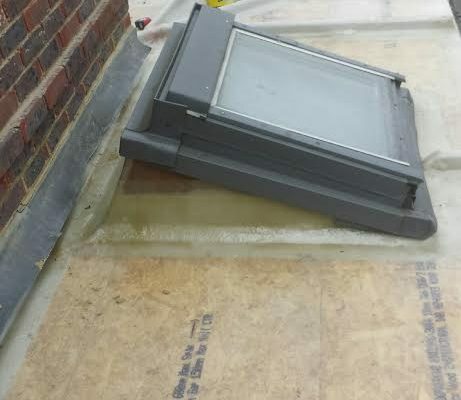 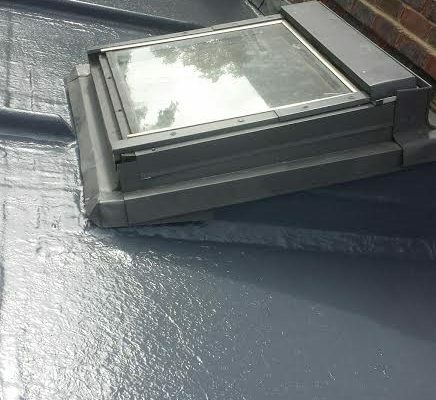 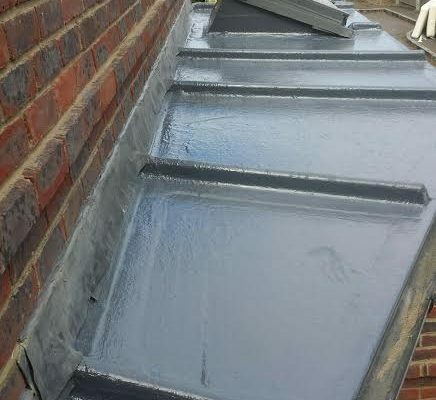 In this project we installed a GRP roof to replace the lead that had been stolen. 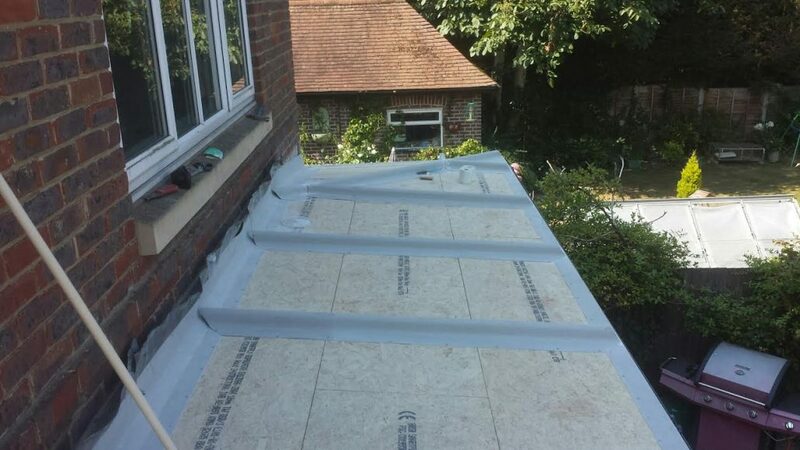 Stripped up existing roof surface. 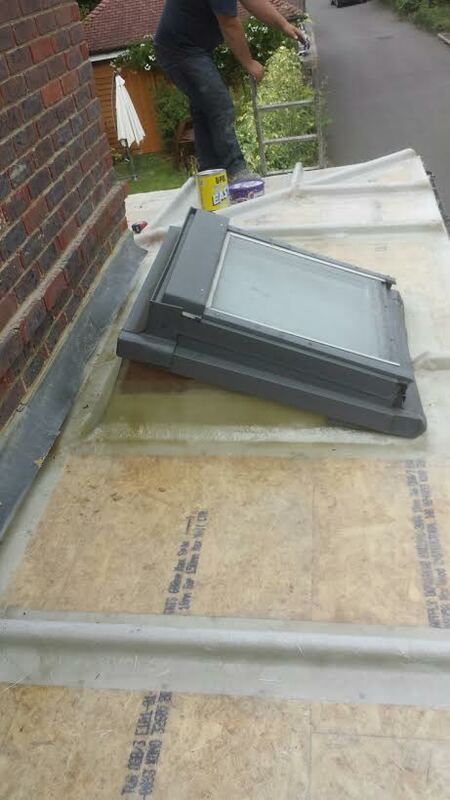 The lead was stolen from a side and rear ground floor extension roof. 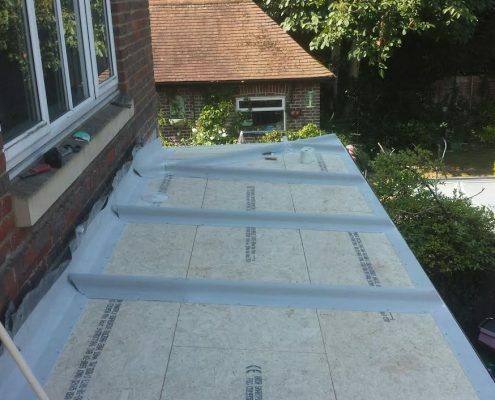 The Customer contacted us to see what alternative he could use and the roof needed to be made watertight as soon as possible. 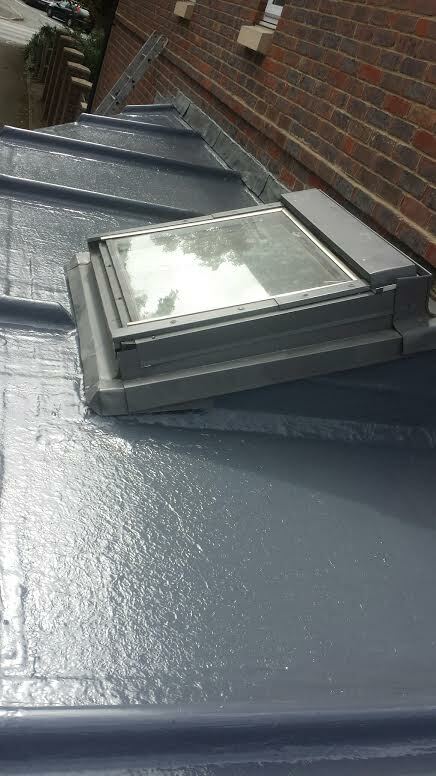 We suggested GRP fibreglass with rollbars which would simulate a lead roof but has no value as salvage. 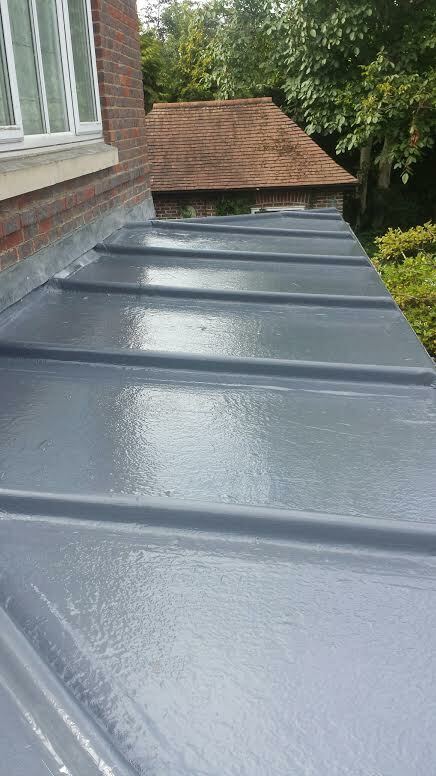 Roof was stripped back, prepared with a new T & G roof deck, rollbars were installed and GRP fibreglass applied. 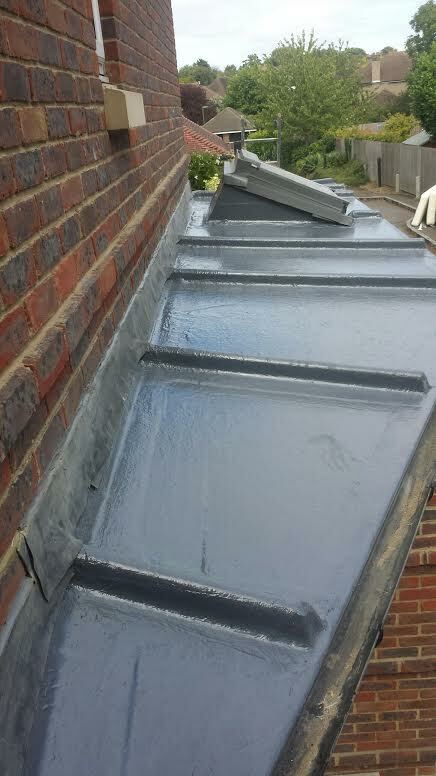 Customer was delighted with the final look with no more worries of the roof being damaged.